Oh yeah, it’s spec comparison time. 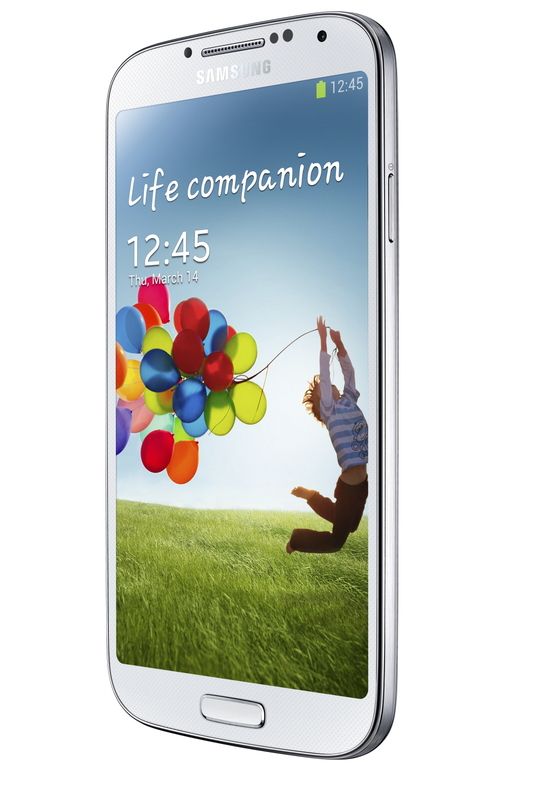 The Samsung Galaxy S4 is all sorts of official, so let’s see how it stacks up against the HTC One, LG Nexus 4, and iPhone 5, three of the most talked about phones of the last year. One one hand, we have HTC’s new flagship which the company hopes will save it from extinction. Then we have Google’s baby, the stock Android-toting Nexus 4. 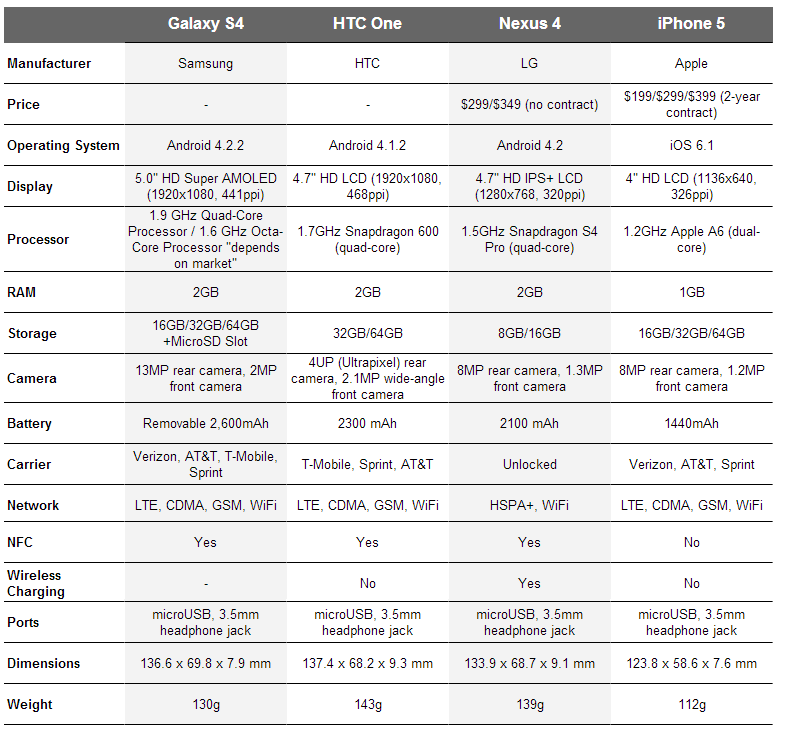 And finally, this wouldn’t be a proper Samsung Galaxy comparison if we didn’t toss in whatever Apple’s current phone is.